After seeing the Squamish Bigfoot video The Weather Network decided to give a poll: Are you open to the idea of Bigfoot? And the results are in. According to The Weather Network there are a surprising amount of Bigfoot believers among us. 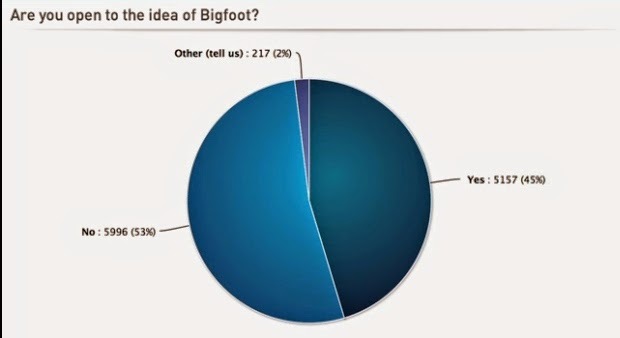 You can vote on this poll here: Are you open to the idea of Bigfoot?